A mother and her teenage son were on Friday jointly accused of a series of aggravated thefts from an Mġarr restaurant and a St Paul’s Bay residence late last year. Maria Pia Zammit, 34, and her 19-year old son Leon Lee Zammit, from Lija, were charged with three separate instances of aggravated theft at the Mġarr restaurant on November 17 and 29. They were also jointly charged with another theft on New Year’s Eve from a St Paul’s Bay residence, the home of a person reportedly employed at the restaurant. The son was separately charged over another coup at the Mġarr restaurant on the evening of December 13 which, however, resulted in an attempt. The prosecution explained that “several thousands” were reported stolen in both thefts. Investigations by the CID had ultimately zoomed in upon the duo. During their arraignment on Friday, the mother sobbed miserably as she sat in dock beside her son. The young man pleaded guilty and was granted bail, pending the drawing up of a pre-sentencing report, against a deposit of €4,000, a personal guarantee of €15,000, an order to sign the bail book every day and a curfew between 9.30pm and 7am. His mother, who pleaded not guilty, was remanded in custody, after the prosecution objected on the grounds that civilian witnesses were still to testify and that the woman had an untrustworthy character. In fact, the woman had, earlier in the week, been given a suspended sentence following her arraignment over a number of thefts from hotel rooms. The court recommended that the director of prison provide her with all necessary medical help. In a separate arraignment, 18-year old Samuel Gauci, from St Paul’s Bay, pleaded guilty to having acted as accomplice in the three coups targeting the Mġarr restaurant. 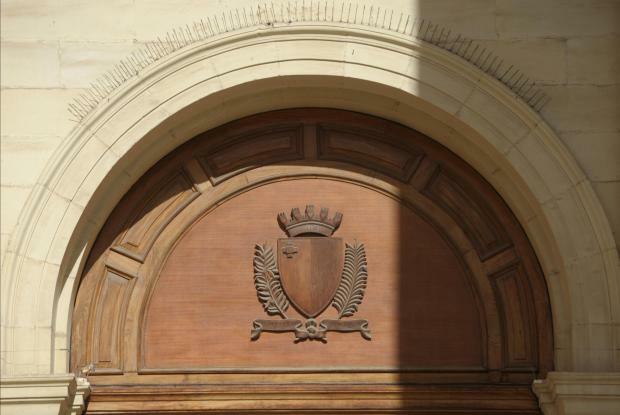 The court, presided over by magistrate Simone Grech, heard the prosecution explain how the young man had allegedly chauffeured the mother and son on those three occasions, earning some €300 to €700 for his role. The young man was declared guilty upon his own admission and was given a two-year jail term suspended for four years, being warned to steer clear of further trouble. Inspectors Shawn Pawney and Mario Xiberras from the CID together with district Inspector Godwin Scerri prosecuted. Lawyer Rachel Tua was counsel to the mother and son. Lawyer Fransina Abela was legal aid counsel to the third accused.